I love these panoramic backgrounds. Dark Kat's lair is pretty cool. A mixture of hellfire and technology. It looks like he may use the volcano as a power source for his tech. Though WHERE exactly this volcano is located is another question. Ty-Chou wrote: I love these panoramic backgrounds. Dark Kat's lair is pretty cool. A mixture of hellfire and technology. It looks like he may use the volcano as a power source for his tech. Though WHERE exactly this volcano is located is another question. Just a thought.... it wouldn't be that volcano on Anakata Island would it? From the episode "Volcanus Erupts!"? Or maybe it was another volcano from a not too far sister island to Anakata Island? It's not the Anakata volcano; from what we see, Anakata Island itself is pretty small, whereas Dark Kat's volcano is surrounded by a bunch of other mountains and green forest. But IRL, where you find one volcano you usually find others not far away (look at Indonesia or the Mediterranean, for example), so the Megakat region is probably just seismically active in general. 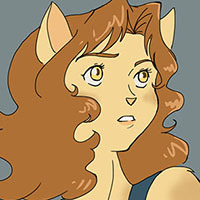 MoDaD wrote: From The Wrath of Dark Kat, the iconic Volcano Lair. I notice on the left there's a tube leading from the lava to a control panel. 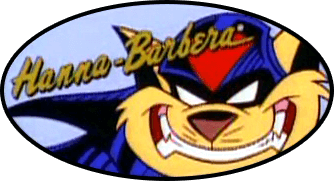 We already know Dark Kat can control the flow of lava inside the volcano. What purpose does this control panel serve here? This is a wonderful background! The vivid colors let me see more to the lair that I hadn’t before. Here is an early sketch of Megakat City from the art book. 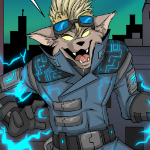 In this, Dark Kat's domain is pretty much everything under the city. I really like that idea. 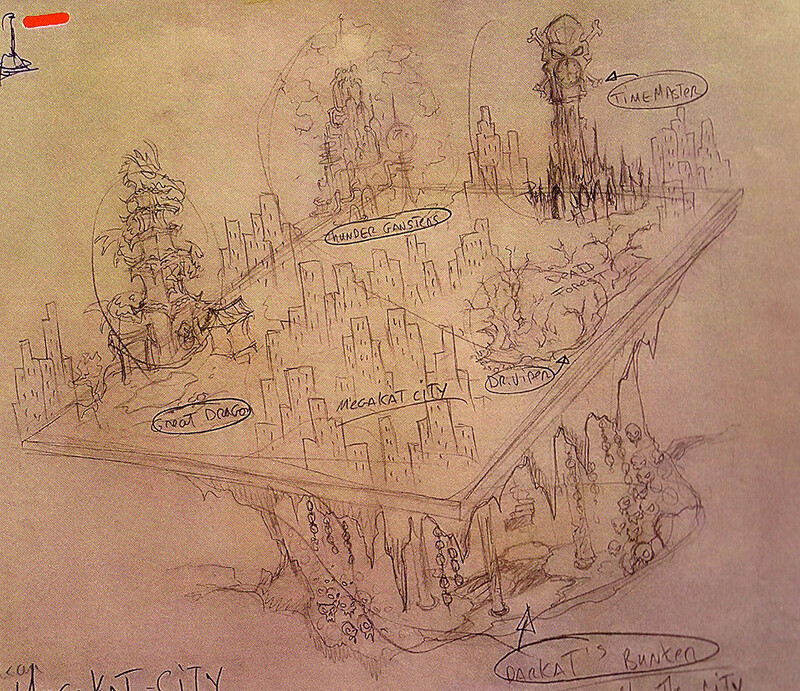 Ty-Chou wrote: Here is an early sketch of Megakat City from the art book. In this, Dark Kat's domain is pretty much everything under the city. I really like that idea. I see "The Dead Forest" was always the name of Viper's locale. Roger that! Also wondering who/what the "Great Dragon" is. EDIT: And thus goes my 200th post.